Safety and hygiene professionals need products that enhance and improve their respiratory protection programs, while wearers want comfort and performance. 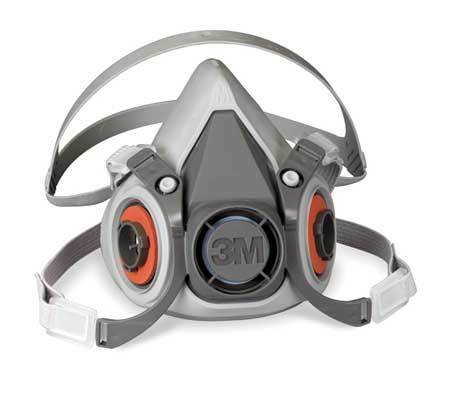 3M offers the best of both worlds with the most complete line of Reusable Respirators. Reusable Facepiece Respirator are also known as "air-purifying respirators" because they filter or clean chemical gases and possibly particles out of the air as you breathe. This respirator includes a facepiece or mask, and a filter/cartridge (if the filter is in a metal shell it is called a "canister"). Straps secure the facepiece to the head. The cartridge may have a filter to remove particles (such as a biological weapon), charcoal (to remove certain chemicals), both, or other parts. When the user inhales, air is pulled through the filter. Designed to help provide respiratory protection against certain airborne contaminants. It features a low-profile design that gives workers better visibility and allows protective eyewear to be worn comfortably. The other features include a soft facepiece made of molded elastomeric material, a bayonet filter/cartridge attachment and adjustable head strap. 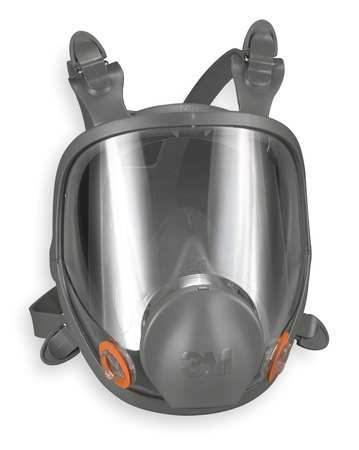 The soft facepiece material and easy-to-adjust head straps of the 6000series Full Face Respirator provides long wearing comfort. This low-maintenance respirator has limited spare parts, so cleaning and care of the facepiece is fast and simple. The innovative lens design offers a wide field of vision. Workers will appreciate the lightweight and well-balanced design.